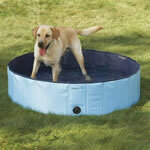 The following is a selection of plastic dog pools for cooling off your dog including bone pools, paw pools, kiddie pools, plastic play pools and plastic dog pools. 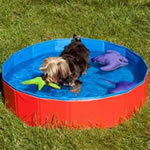 The classic plastic dog pool for hot summer days. 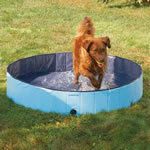 Durable plastic dog pool with low sides make it easy for dogs to get in and out of. 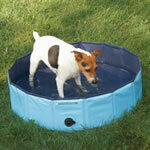 General Foam Plastics wading pool. 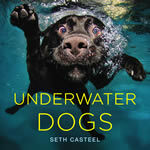 5 Foot RND Decorated Dog Pool. 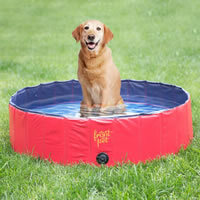 *When you click on the "More Info" button you can read about the latest Plastic Dog Pools.